With its amazing and very reasonably priced crèche, a first class indoor swimming pool, its own dedicated ski school, indoor ice rink, bowling complex, safe streets, village feel and never far to a lift, it’s easy to see why Vaujany has won both the coveted Famille Plus Label and Best Small Resort in the past. Ski Peak has always ensured that families are well cared for… After all it’s not just the kids that are on holiday, which they like to believe! 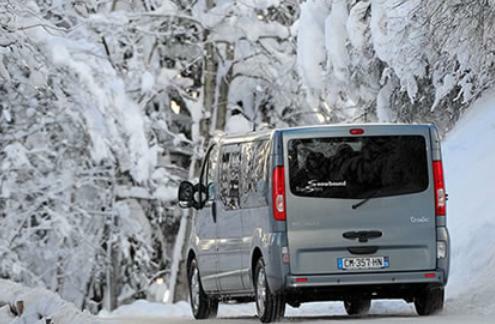 A staff member is available to help you, whether it be with ski hire, finding your ski class or a lift to the leisure centre in the minibus. Vaujany is a small picturesque village with a friendly, traditional community, blessed with outstanding modern facilities and infrastructure. Younger children are well cared for with the village crèche and older children can stroll around, go off and play by themselves without too much worry. It's a perfect place for young children and teenagers to develop some independence. Travelling with children can be stressful. A short transfer is always helpful and Vaujany scores on this point once again. Vaujany is just one hour from Grenoble train station, one and a half hours from Grenoble airport and under two hours from Lyon airport. 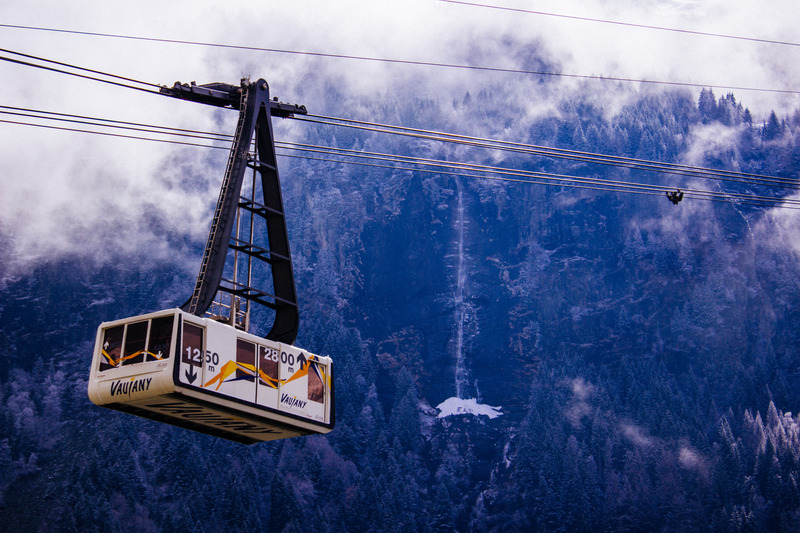 Better still, Ski Peak operate a transfer service from Grenoble so you don't even have to worry about it! If your flight doesn't coincide with our transfer we are more than happy to book a taxi for you or pick you up from Rochetaillee when using Bens Bus. The different levels in Vaujany are cleverly linked via a series of escalators... Navigating around the village is an absolute breeze! Escalators connect the top of the village, where there are shops and restaurants, to the middle where the lift station and tourist office is located together with more shops, restaurants and bars. 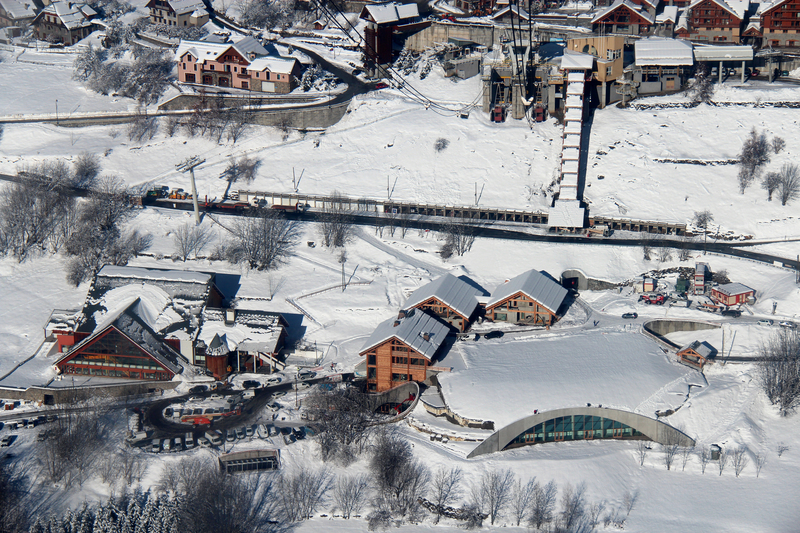 Then beneath the cable car station, accessed via a pair of modern funiculars, you will find the leisure centre with swimming pool, ice skating stadium and ten-pin bowling. For total beginners there is a huge saving to be made when holidaying in Vaujany. Instead of having to fork out for a full domaine ski pass, like in most resorts, most of which you won't even see, let alone ski... Vaujany and Oz have teamed up to create the 'local area pass'. For children up to (and including) 2 star and adults up to (and including) class 2 this pass suffices for their ESF needs. This pass gives full access to Montfrais, Alpette and Oz but has limited Alpe d’Huez access (though you can still ski down into Alpe d’Huez)... 70km worth of pistes to be precise. Better still, the local area lift-pass price is normally offered at a special rate when booking lessons with ESF. Order and pay for your Vaujany/Alpe d’Huez lift pass before departure from the UK and we will have it ready for you so not one minute of skiing is lost. The local village nursery has established an excellent reputation and is exceptionally good value. To underline the village's commitment to family life Vaujany recently invested in a brand new crèche with facilities that are second to none. The new crèche has well-equipped playrooms, full of toys and games, to keep even the busiest of little ones entertained. There’s also a sledging slope out front, a ball-park, TV room. The staff speak reasonable English and the day-nursery is conveniently situated close to the main lift-station in Vaujany accessible via funicular. From 3 years old, for those who are new to skiing, the Jardin de Neige (ski kindergarten) at Montfrais near to the top of the gondola has a special nursery ski lift and some model animals. Children are gently introduced to snow, walking on their skis, tobogganing and skiing down the short nursery slope. From 3 years to 5 years inclusive children can join the local, friendly, Vaujany ESF ski school, starting in the ski kindergarten and progressing to the other nursery slopes as appropriate. Ski school meets at 09:15 at the main lift station in Vaujany from where the instructors accompany them up to the ski kindergarten and nursery slopes at Montfrais. A supervised lunch is provided in one of the mountain restaurants (the Vaujaniate) after which the younger children are accompanied down to the village creche for the afternoon whilst the older children join their afternoon ski classes. 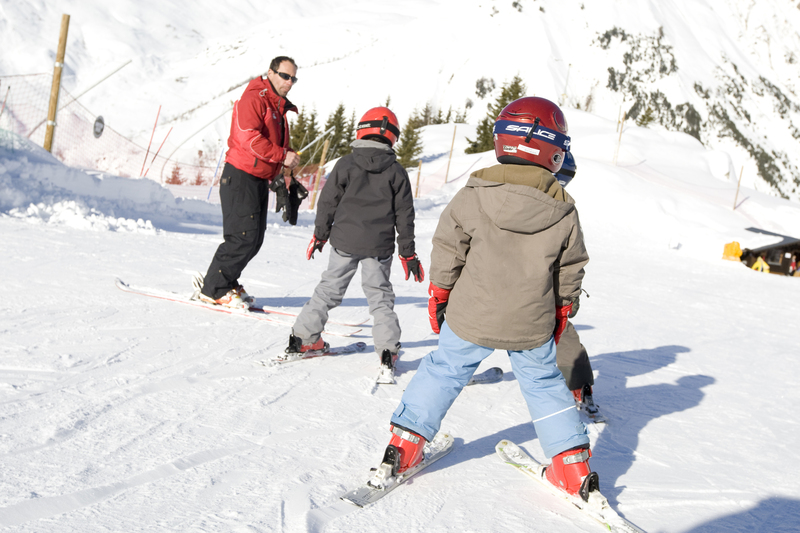 Children over 6 and any 5 year olds who have skied before can take both morning and afternoon ski school sessions. At midday, there’s a supervised lunch break, with time out for playing in the snow or in the playroom if weather conditions dictate. Parents can choose to rendezvous with their children at Montfrais before their lunch, after their lunch or at the end of the day. So parents have complete flexibility and can take the opportunity to ski far and wide should they choose to without having to return at midday! If at the end of the day parents wish to pick their children up at 16:15 from the nursery slopes at Montfrais they can then finish the skiing day, en famille, enjoying a few gentle runs together. Alternatively you can collect the children from their instructors at the main lift station between 16:30 & 16:45, the same place where you dropped them off! For children under 12 years old we recommend our 'high-tea' in the evening, served at about 18:00 and consisting of a delicious two course meal prepared by one of our chefs and served by your hostess. And afterwards there are DVDs and board games to wind down with before bed-time whilst parents will be looking forward to their aperatifs served at 19:30 and there sumptuous dinner at 20:00. If the children want an afternoon off, or an activity straight after the mountain, there's lots to keep them occupied away from the slopes. The 'Espace loisir, Leisure Centres comprise of some wonderful activities, great for all ages. If you have a full area lift pass then you also get one free entry to the swimming pool and ice skating! 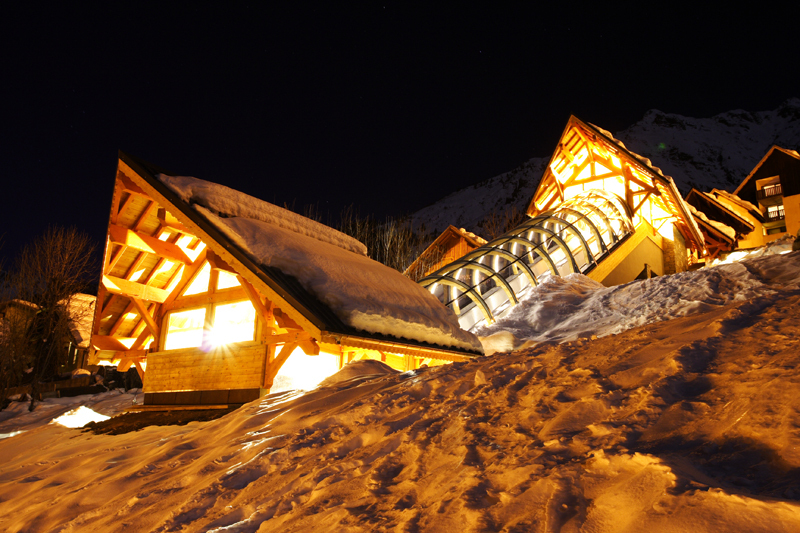 So there you have it, lots of things to get excited about with a family ski trip to Vaujany. Whether it be your first, second, third or 10th family holiday, Vaujany hits all the right notes for so many age groups, if not everyone!